Google showed off a bit more of Android Wear's functionality in the keynote presentation, but you really want to know about the hardware, right? Well, it's going to be out today. 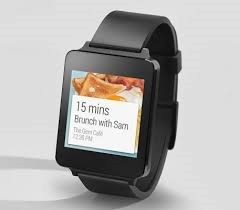 The LG G Watch is coming to Google Play later today. The price wasn't mentioned, but we're going to watch Google Play like a flock of hawks, waiting for it to go live. No word on giveaways yet, either.